What Does It Mean To Testify In A Case? To testify in a civil case, a party or witness can be deposed, which is an informal proceeding that is still done on the record and under oath. It is usually in a conference room at one of the lawyers’ offices. A certified court reporter is there jotting down every word and sometimes a videographer is videotaping everything. It has the same effect as though you were in front of a judge and jury, except it is not in a courtroom. Will My Child Have To Testify If We Decide To Bring A Lawsuit To Hold The Dallas Daycare Responsible? Most of the time, a lawsuit against a daycare facility in Texas does not require your child to testify. We have yet to have or even need a child to testify on one of our cases against a daycare facility. Obviously, the older the child is, such as a 16-years-old or 17-years-old (still considered minors), the better they would be able to testify. However, even then it would be very limited and we prepare and equipped our clients so that they are well prepared and won't be intimidated. Also the accused teacher that is involved and anything else that might cause the child to feel uncomfortable we eliminate from the process. Most of that information we can get elsewhere and will not require the child to testify. Recently, we have been handling a lot of cases involving minors ages 1-6. These kids will not be required to testify, unless a Court forces us to make them testify. That will not happen except in the most extraordinary circumstances and with strict limitations on the defense lawyers to ask questions. A lot of the time, the Judge will do that type of questioning himself or herself in chambers without the lawyers there. Again, this is such a rare event, and we have not had it come up in our cases. For most cases, your child’s testimony is not required to hold the daycare responsible. We hesitate to say your child’s testimony is never required as we do not want to make a promise that we cannot guarantee, but it will take a great deal of unusual events to take place for that to happen. 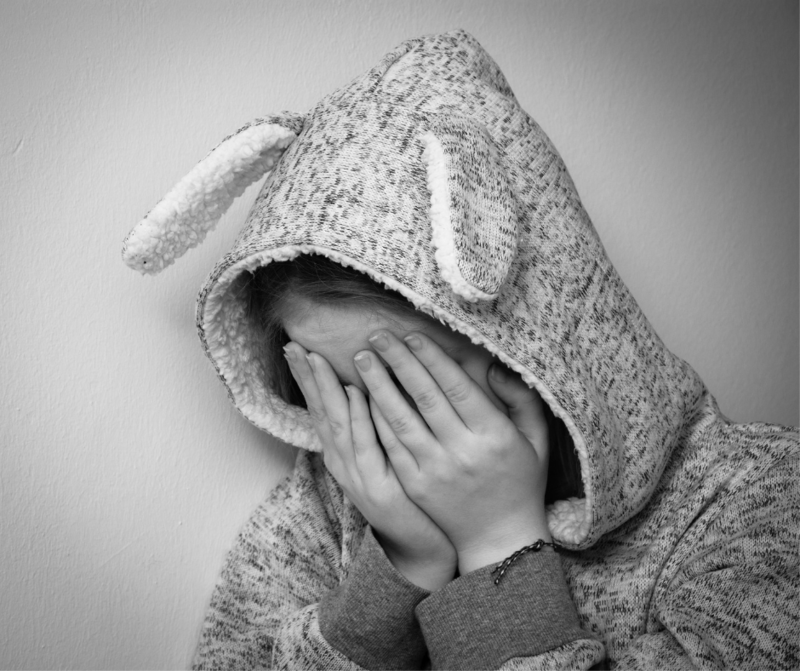 The Button Law Firm does not allow the defense to bully or question a minor that we have been hired to protect and we set the tone and take charge of making sure of that. All of our clients are special to us and we fight super hard for all, but we definitely make sure that all of our child clients are strategically looked after and protected. What Alternatives Are There To Having Your Child Testify? There are many alternatives. For example, if the daycare had a videotape of the incident, that would show everything that the child would have to say. If the daycare does not have videotape recordings or destroyed them, then that is a different issue altogether because they should have video, or at the very least preserved the videotaped evidence. If the daycare providers did not see what happened, then that means they were not supervising properly or had too many kids in their group. Further, we know that it requires a lot of context and interpretation from parents as to what a child says or actually means. A lot of times the parent would be the best to get this information from, not the young child under stressful circumstances. 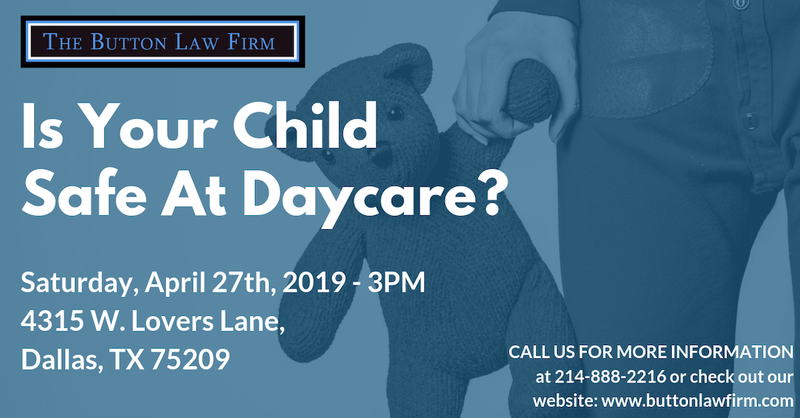 Want To Learn More About The Process Of A Daycare Lawsuit in Texas? If you or a loved one has had a life-altering injury at a Dallas daycare facility, reach out to us at 214-888-2216 or fill out our Contact Us form. Our daycare team is ready to handle all your needs and answer any questions you may have. When your child is hurt, the last thing you want to do is deal with the legal side. Let us guide you through that process so you can focus on your child’s medical treatment and your family.